Hello, it’s Machuko@- the admin. 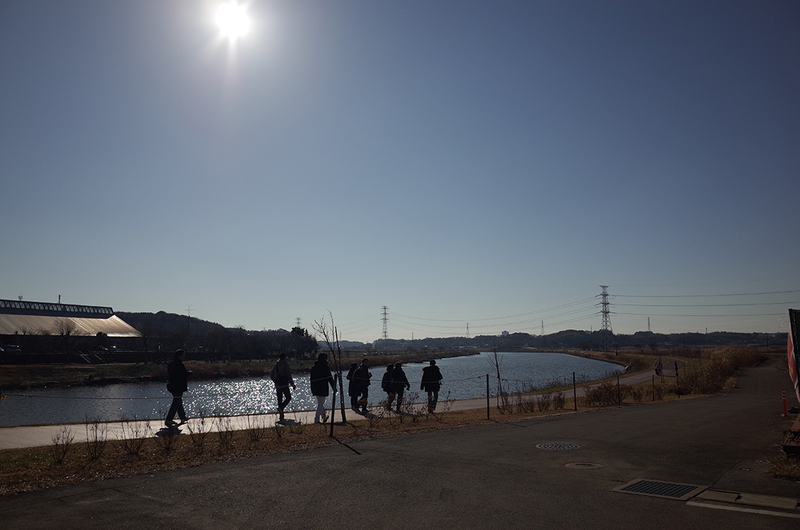 On the 14th January (Monday), we held the 4th GR trip at Yachiyo City, Chiba Prefecture! The group that applied this time was called "GR ☆ Club." It is about 1 year ago that the organizer made the "GR ☆ Club" group on Facebook and they have had regular offline meetings etc. since then. Noguchi once participated in one of them. I heard the organizer used be a member of "donuts"- a volunteer group that belonged to the gallery "RING CUBE" (currently Ricoh Imaging Square Ginza) in Ginza, Tokyo. Furthermore, she won a Ricoh's photo competition in the past and the award-winning work was displayed on the billboards of RING CUBE. It was wonderful to meet her. I was not only surprised but a bit nervous for some reason. I was grateful that our products and activities were supported by people like her. This trip was held in Yachiyowhere the organizer lives. We were blessed with weather (every time we have had good weather). 14 GR fans gathered in sunny, comfortable climate. The guest GRist was Kazuyuki Okajima. As always, we kept it secret until the day. 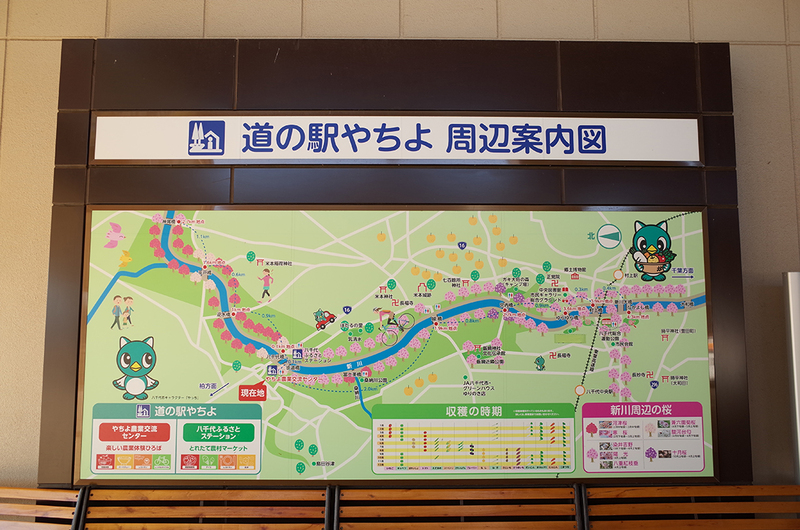 Mr. Okajima lives in the Onjuku, Chiba, but he said he had never been to Yachiyo. "It’s a great opportunity to listen to Mr. Okajima, but don’t be scared." Noguchi began the orientation with a joke and they started shooting. Everything went peacefully for the entire trip. 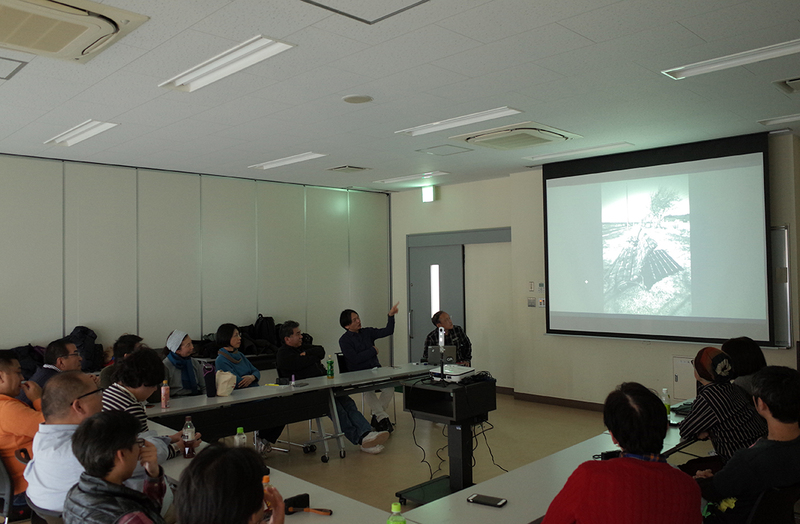 During the review, Mr. Okajima gave us a lot of stories about how to select and view the images and about intension and attitude of shooting. "When selecting, print them small like in a thumbnail format and look at them objectively. Pick intuitively ones that look good to you in that size. When you look at them in a bigger size on a computer screen, you easily become picky about details and end up choosing passively. Are the remaining photos really good? I doubt it. " "When shooting in black and white, your intension is important. The image may like cool but lacks power without it." "Since the GR is a prime lens camera, your sense of distance to the subject is obvious in the photograph. 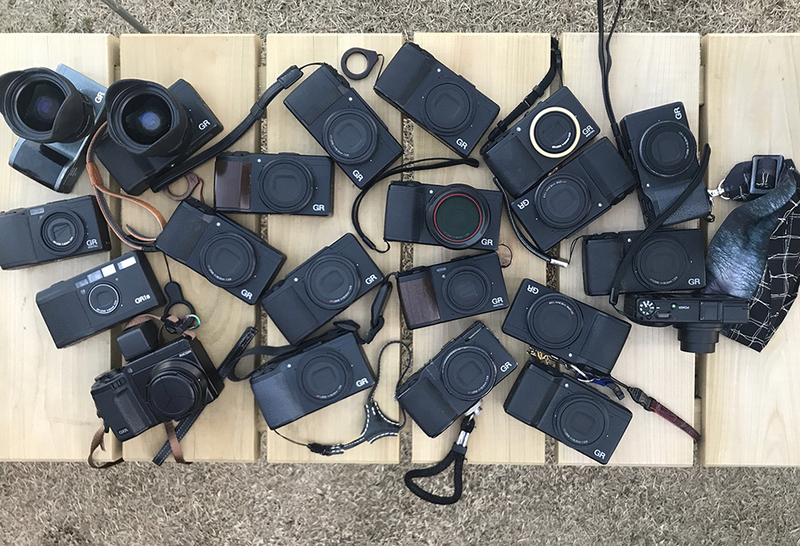 When photographing the same object in the same place, it becomes apparent that each one has a different character and personality in terms of how they look at the object and approach it. That’s really interesting. " He reviewed by looking curiously at each photo the participants had taken. They had some uniqueness of Yachiyo including its atmosphere and light. 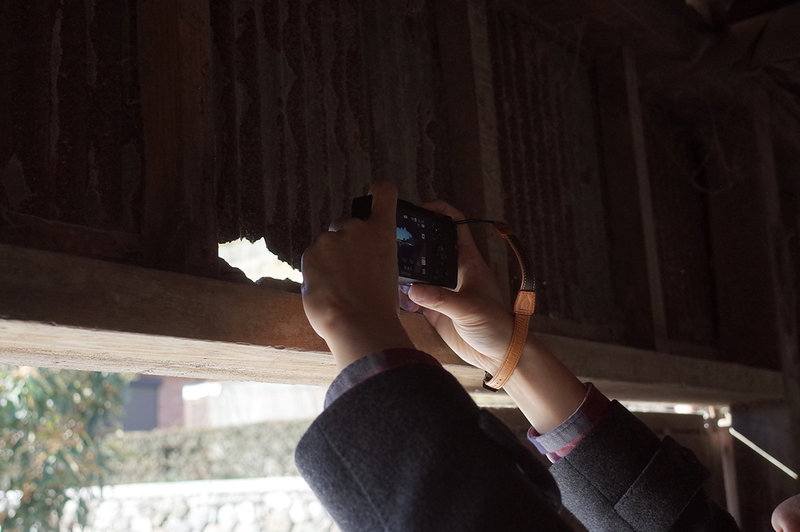 Now, let me show you the photos of "Yachiyo trip." 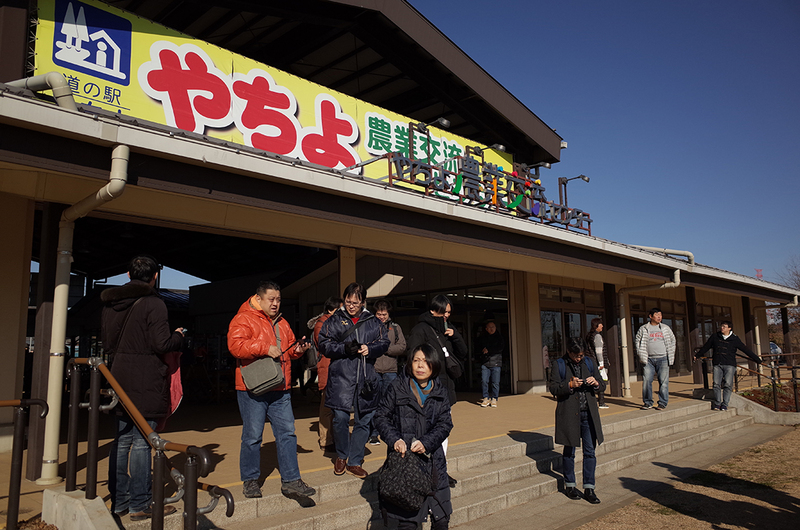 We left "Yachiyo Agricultural Exchange Center" that we used as the venue! We examined the area map and checked the course of the day. I suppose the cherry blossoms are beautiful here in spring. 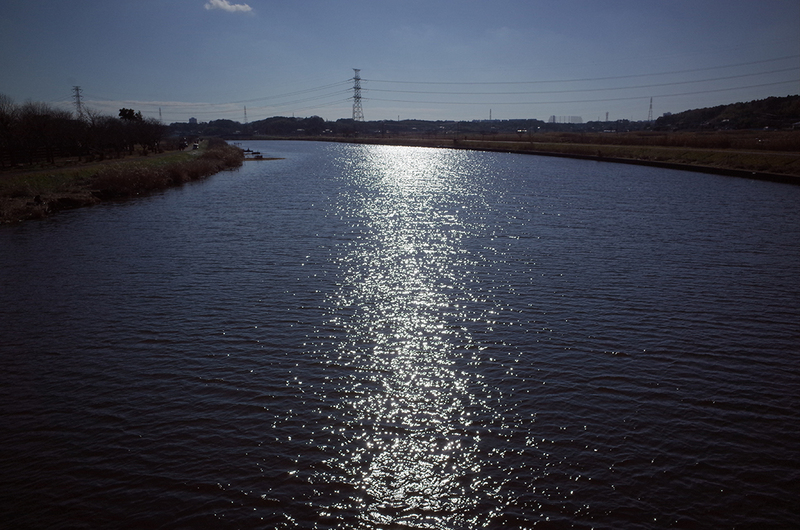 We strolled along the river and took pictures when encountering something. Nice weather! There were cows inside and all of them took their photos. 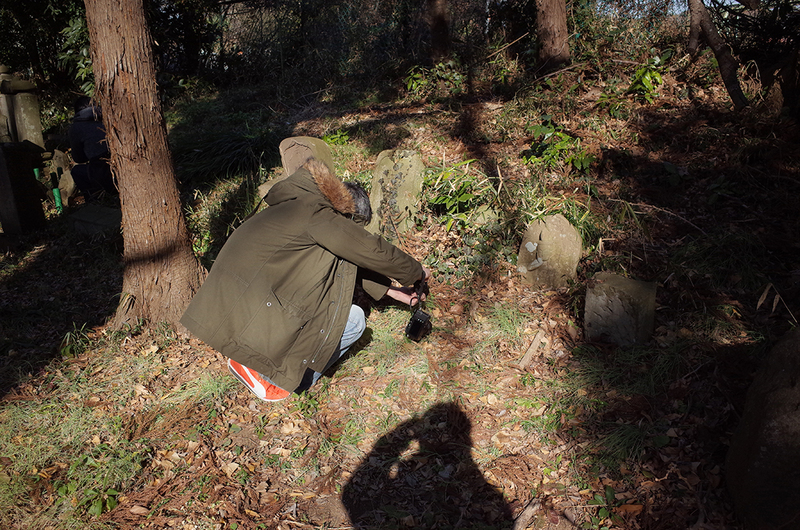 Mr. Okajima says he is hardly seen him photographing or photographed by someone during a photo session. Rare shot! The blue sky and the green grass are the main characters. Good compo! Back to Agricultural Exchange Center for the review. 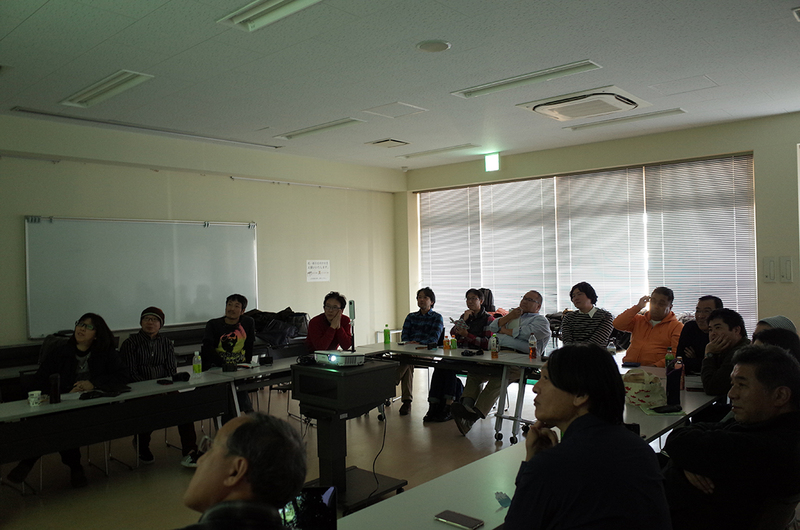 Mr. Okajima talked frankly and all of his comments were very easy to understand and informative. And, as usual, our GRs! More GRs than the number of people, as usual too. We enjoyed chatting with local people too. We had a very pleasant photo session. On the last day of the first three consecutive holidays in 2019, we enjoyed the time of relaxed atmosphere and moderate tension. Thank you so much for inviting us to such a wonderful place! 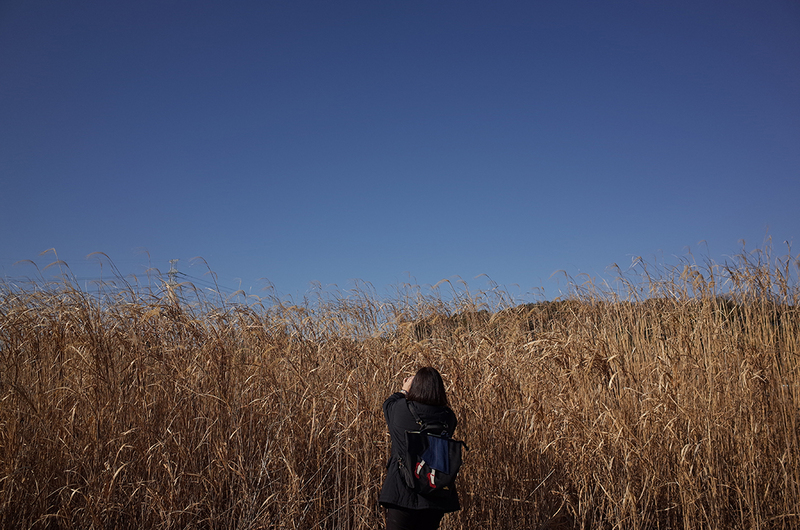 You can see pictures taken by the participating members in "Gallery" below. Enjoy! 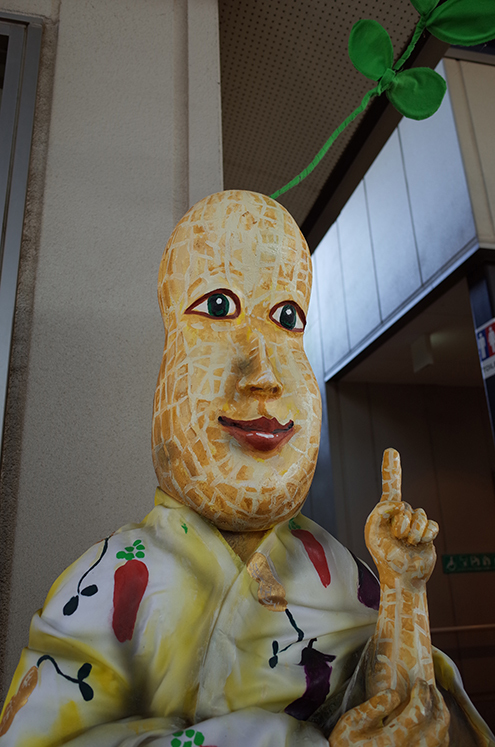 And, the below is “Yachiyo” by Mr. Okajima. Lastly, some comments from Mr. Okajima and the organizer! 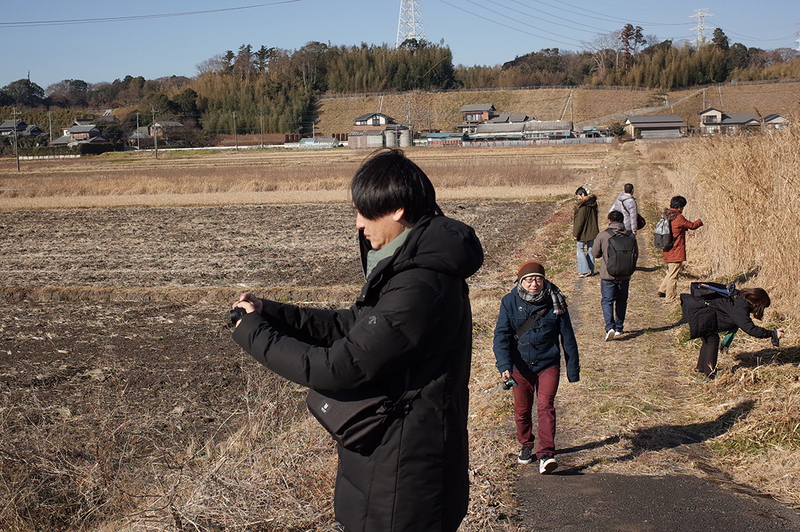 Although it was in the middle of winter, it wasn’t so cold because it was sunny and we walked a lot. 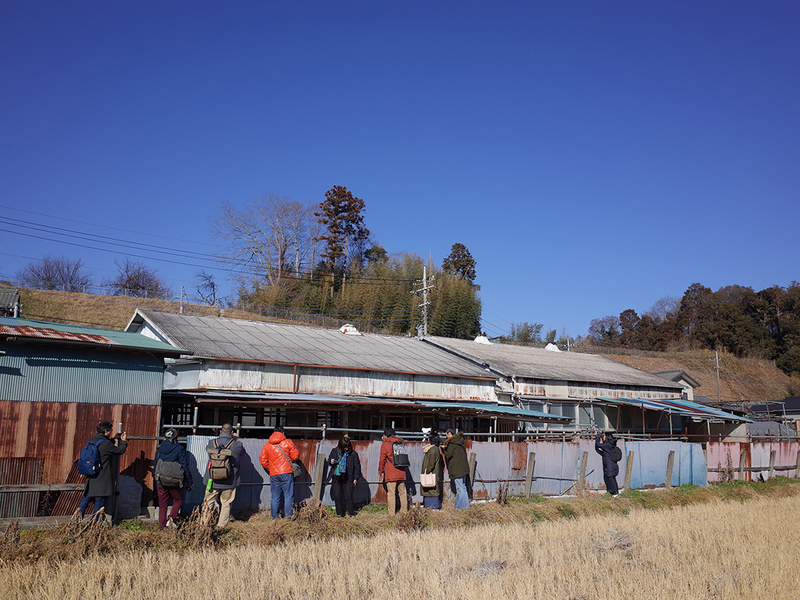 Even though it was fun to walk around Yachiyo, we had a good tension because all of us were under the same shooting condition. It was interesting to see the participants positively approaching subjects and scenes that are capable of producing originality while enhancing their sensitivity. There were quite a few unique works as a result of making good use of GR's lightness. I was inspired by them and had a very meaningful time. Thank you very much. In the pastoral landscape as far as the eye can see. 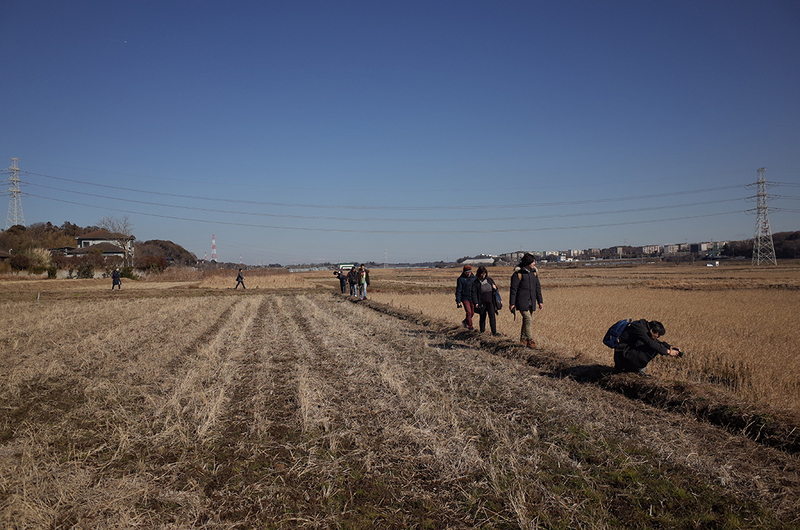 Under the high sky, we walked between fields in line. Cow's salivation, tools left, traces of burning, shrines where myths live, fishermen. 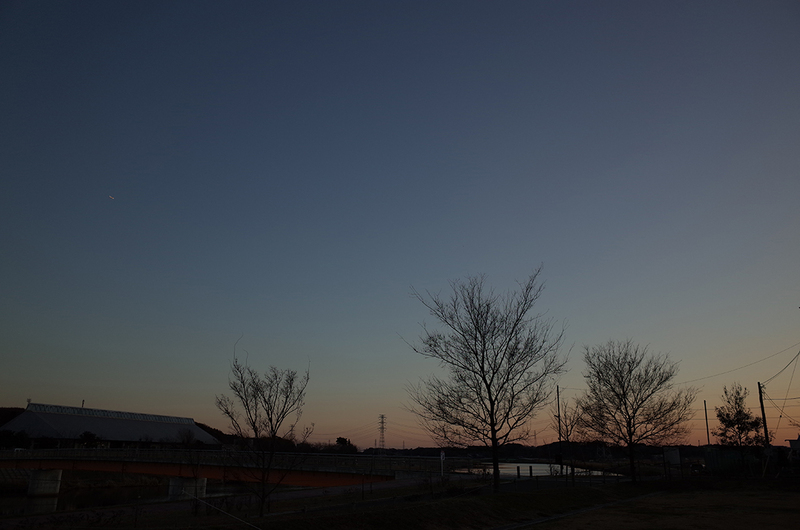 In an ordinary scenery like this, the GR was not too fancy but casual enough to fetch the sight. Mr. Okajima's review was so important that it will lead to each and every production of our future work. Thank you very much. Apply for "GR trip" any time! Please let us know your favorite place you want to shoot with a guest GRist. Bonus: Gapao Rice lunch at a restaurant that offers local gourmet in the road station. I was informed later that their recommendation was curry.